Two soldiers who died in an explosion in Syria Friday were part of a mission to kill or capture a leader of the Islamic State militant group. [post_ads]U.S. Master Sgt. 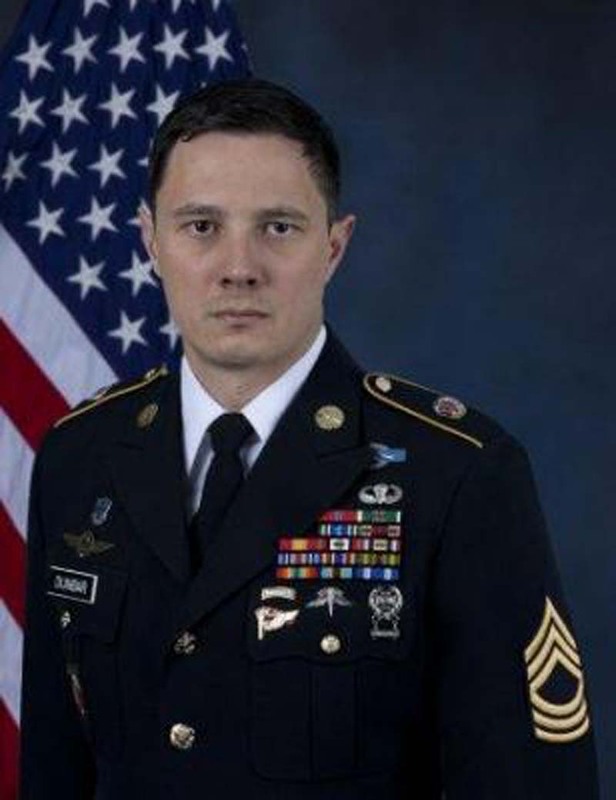 Johnathan Dunbar was working with coalition forces "conducting a mission to kill or capture a known ISIS member when they were struck by an improvised explosive device" in the city of Manbij, Pentagon spokesman Maj. Adrian Rankine-Galloway said Monday. "This operation was part of the Coalition's mission to defeat ISIS, and we remain focused on our mission," Rankine-Galloway said. Dunbar and British soldier Sgt. Matt Tonroe were killed and five other troops were injured in the IED blast. The troops were out of their vehicles at the time of the explosion, but the U.S. military has not said if the IED was in a building, a vehicle or buried in the road. Dunbar was born in Austin, Texas and was supporting Operation Inherent Resolve, the military campaign against ISIS that began in 2014. The United States maintains about 2,000 U.S. troops in Syria to combat IS fighters in the country.